OSRAM Opto Semicondcutors: OSCONIQ® P 2226 white & colors, OSCONIQ® P 3737, OSCONIQ® P 7070 family. OSRAM Opto Semiconductors offers a broad portfolio of mid to ultra-high power components especially designed for consumer or professional applications. The OSLON family of LEDs by OSRAM Opto Semiconductors can do just that. OSLON LEDs are available in different wavelengths and viewing angles for custom horticultural lighting design. Osram Opto Semiconductors is using converter technology for infrared emitters for the first time. The result is an LED that emits broadband infrared light in a wavelength range from 650 to 1,050 nanometers (nm). Did you know that...OSRAM Opto Semiconductors offers a competitive LED portfolio for General Lighting for high volume and professional applications. Light is easy with SOLERIQ, OSRAM Opto Semiconductor’s newest family of Chip-on-Board (CoB) LEDs. SOLERIQ maximizes the potential of CoB design to help your lighting projects shine their brightest. Monochromatic LEDs emit a single color or wavelength of light, making them optimal for unique applications such as plant growth, algae growth, animal environments and aquarium lighting. In this edition of the LED Lighting News, OSRAM Opto Semiconductors highlights the energy saving potential of high efficacy LEDs and a concept OSRAM calls "smart lighting." 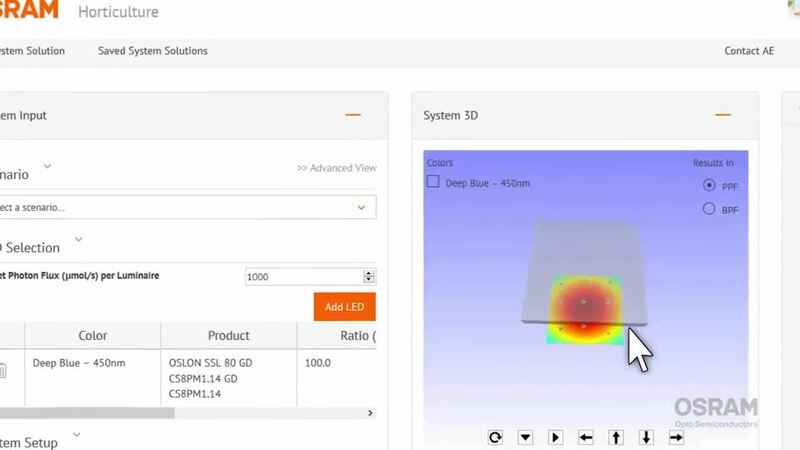 Product overview of OSRAM Opto Semiconductor's OSLON family of LEDs for general lighting applications. Product overview of OSRAM Opto Semiconductors' DURIS family of LEDs for general lighting applications.